OSM has once again partnered with Clowns Sans Frontiéres to help bring laughter and love to Haiti in the wake of Hurricane Matthew. 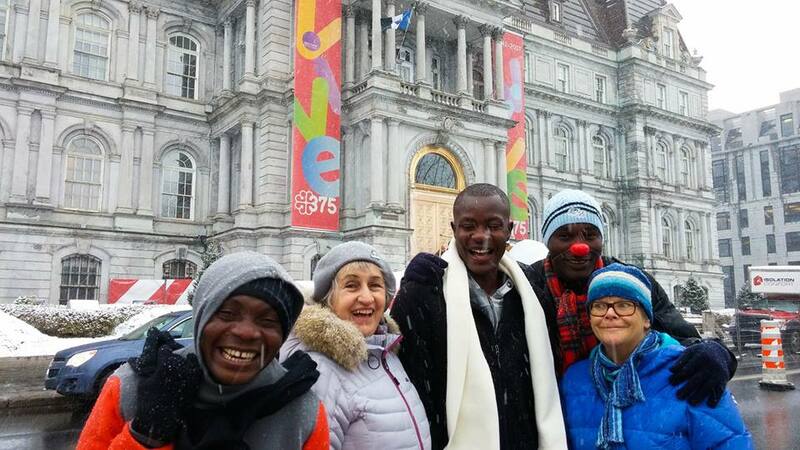 3 Haitian artists visited Montreal in November to take part in a physical theatre training course where they workshopped a clown show to present in neighborhoods recovering from the cyclone, exchanged ideas and laughs and developed their performance skills in collaboration with artists from CSF. 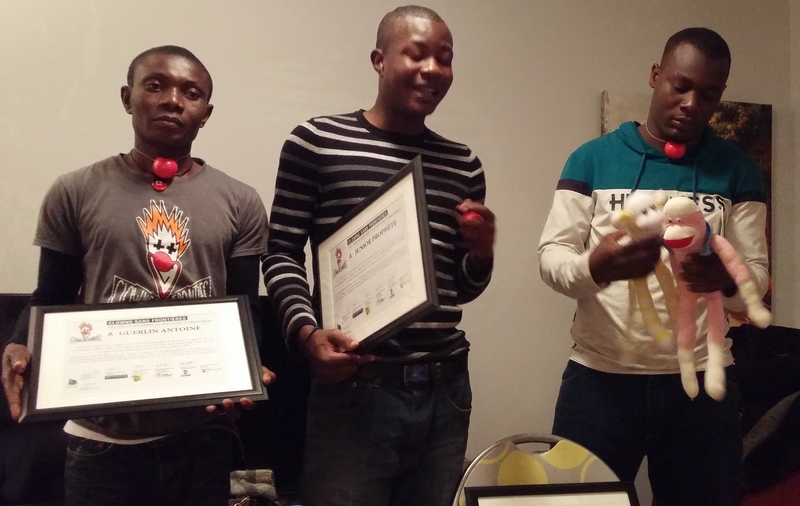 At the end of the visit, they received a certificate of recognition for their study… and some delightful new travel companions to take home to Haiti! The travelers will return home for Christmas, bringing with them a big batch of sock monkey delegates created with love by OSM Operatives in US & Canada. 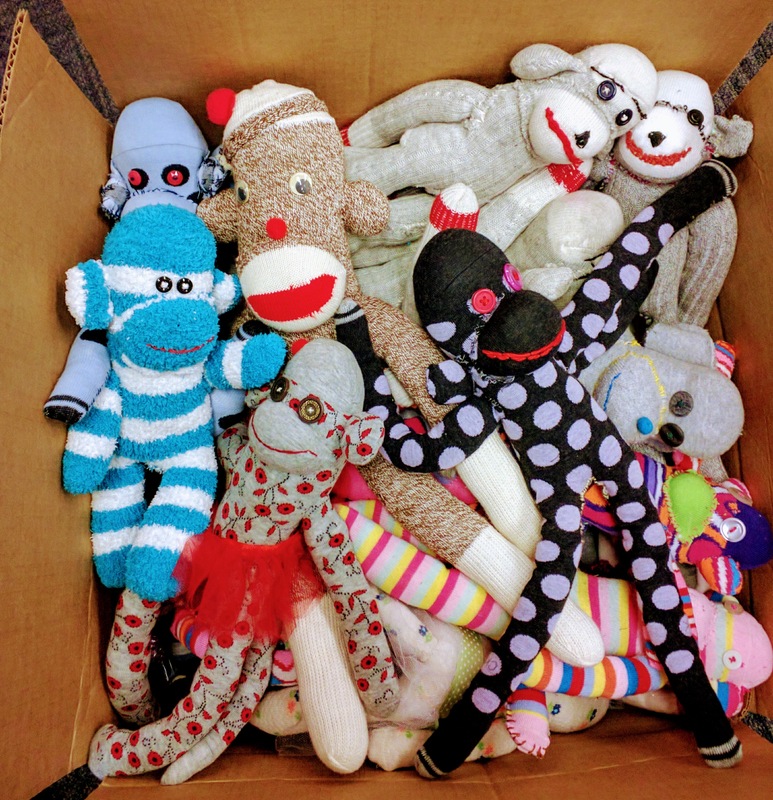 The sock monkeys will be given to children who have suffered greatly as a result of the devastation Hurricane Matthew brought to the island in October. OSM has also donated money raised through sock monkey workshops and sponsorships to support this initiative. CSF believes that play, laughter, and the freedom to enjoy having fun are fundamental in the healing process for children who have experienced loss. Distributing the sock monkeys will contribute greatly to helping the victims of Hurricane Matthew find joy, a small comfort and a smile. Big thanks to all of the operatives who stitched up some smiles and cuddly fun and donated sock monkeys to this delegation, including Jonnie Eames of Seattle; Rae Lampe and students at Aspen Middle School in Aspen, Colorado; Hanne Nestler & friends in Illinois; and Janice Jensen and the super crafty summer campers of Beaverton, Oregon!